We’re expecting an absolutely gorgeous summer and there’s no better time to experience Buffalo using my personal favorite mode of transportation – bicycle! 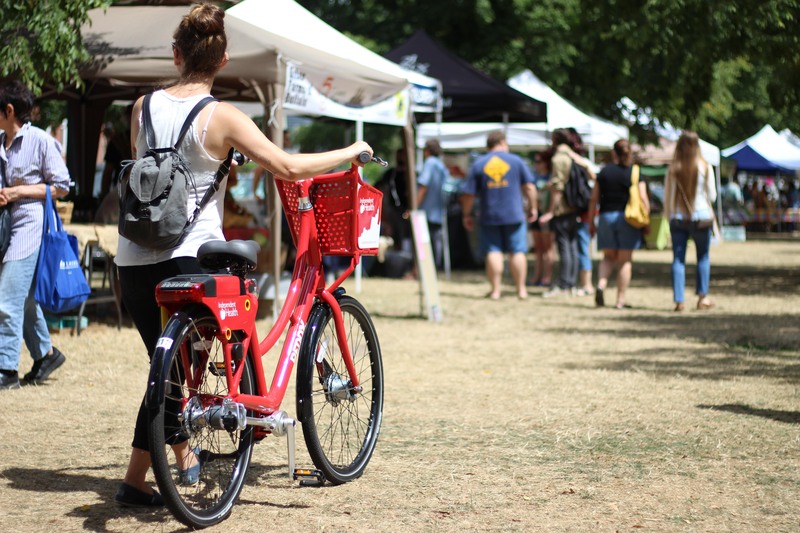 With the launch of the Independent Health-sponsored Reddy Bikeshare program in recent years, visitors and residents are finding a new method of traversing our fair city. On two wheels, you get to soak in each neighborhood you pass through at street level and at a slower pace than by bus, rail or car. With unique destinations around each Reddy bike rack, you’ll be thankful for the stop-and-go convenience of the cycles. 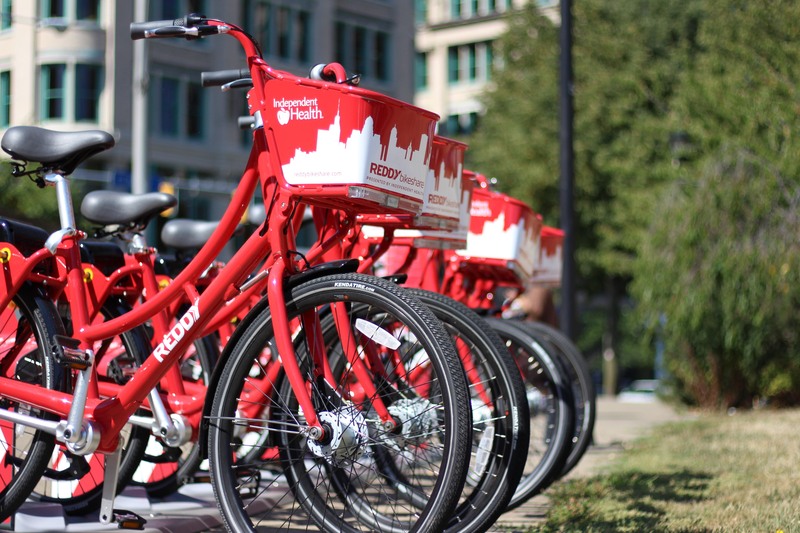 If you’re wondering how to get started using Reddy Bikeshare, use this handy guide to get rollin’. In town just for the weekend? The Hourly program is for you. An initial $8.50 activation grants you access to the Reddy bikes for 30 days. While you’re out cruising the town, Reddy Bikeshare also charges 6 cents per active minute. So your first hour of breezy biking costs $12.10 with each subsequent hour costing $3.60. Note: If you’re rolling with your crew, look into the Group Pass. You’ll get access to up to four bikes for an initial activation of $20. Each bike then costs the same 6 per minute as the individual Hourly pass. If you’re planning on staying a while (and we know you’ll want to), maybe the Annual membership is up your alley. A $55 activation gives you unlimited access to bikes around the city for a full year with each active minute costing 1 cent. 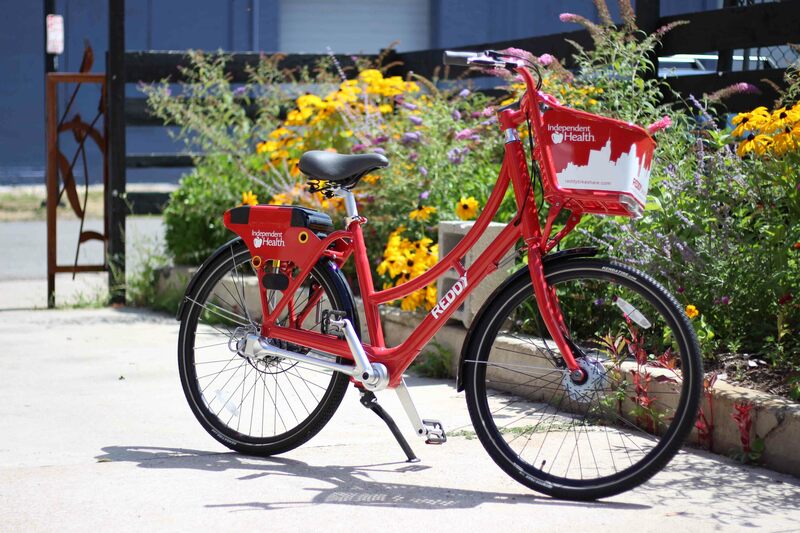 The bright “Red”dy bike racks are located at all major downtown hotspots, such as Canalside, City Hall, Sahlen Field and, of course, right near our Visitor Center. The racks are also spread across the city from the West Side, at places like Five Points Bakery and Essex St. Pub, along the entire Elmwood Village strip, Allentown near Allen Burger Venture, up north on Hertel and near Delaware Park, near the Albright-Knox Art Gallery, and on the East Side near the Broadway Market, Science Museum and Larkinville. This useful map will help you find the Reddy rack closest to you. With the SoBi app, you also get a lot of awesome perks such as reserving a bike even if you’re not at the Reddy rack yet. You’ll be able to track your route, distance and time to share via social, too. When you arrive at the Reddy Bikeshare rack (we used the one at Five Points Bakery, right around the corner from my house), you’ll need to enter your account and PIN numbers into the keypad on the back of the bike of your choosing. 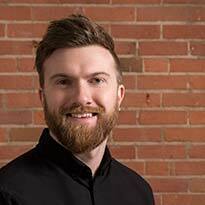 Those credentials are provided upon registering with Social Bikes. Once that’s complete, you simply remove and holster the U-lock on the side of the bike and set out on your journey through Buffalo. Just a heads up that helmets are not provided by Reddy Bikeshare. If you feel more comfortable riding with noggin protection, it’s recommended that you BYOH (bring your own helmet). Did you see something awesome? Stopping at Larkin Square for the free Food Truck Tuesday? Popping in for a snack at the Lexington Co-op? Grabbing a latte at Remedy House? Reddy Bikeshare allows you to put your bike on “HOLD” while locked up at a Reddy rack or public rack. You can hold your bike multiple times up to two hours – just keep in mind that you’ll still be charged the same rate for each minute on hold. When you’re all biked out and looking to say ‘so long’ to your noble Reddy bike steed, you have a couple of options available. Bringing a bike back to any Reddy rack or to certain free parking zones costs nothing (use the map above to locate those zones). Parking near special events, such as concerts or festivals, will cost 25 cents, but you’ll be made aware of this through the Social Bikes app. Lastly, if there’s not a Reddy rack in sight, but a public bike rack is available, you can park the bike there for a $2 charge. So that’s it! Pretty simple, right? Get out there and see Buffalo’s beauty by bike. And if you’re looking for more information, visit Reddy Bikeshare at their website or Facebook, Twitter and Instagram. Happy riding!